I love Pax and Mila so jumped at the chance to catch up with them. I’m not usually a short story reader but sometimes one fits in nicely with what spare time we have. Xmas being busy this collection is perfect for when you’ve a spare 20 minutes or so. 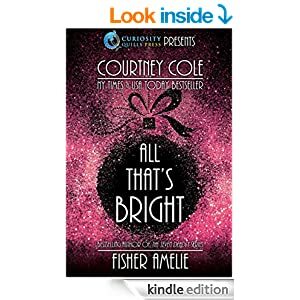 Fisher Amelie is an author new to me but I enjoyed the story about Spencer and Cricket even though I didn’t know them. There’s a couple of excerpts too from other books included and its a great way to get a flavour of the writing style of two talented authors. Stars: Five, Two sweet catch up stories make it a fun read.